• Over 200 Digimon from the animated series! • For the ﬁ rst time ever in the series, explore the Digital World with not one, but TWO Digimon partners! • Your success in battles & the growth of your partners is totally dependent on you: Raise, train, feed, discipline, etc. in real-time to form strong bonds with your Digimon companions. Every interaction & activity matters! 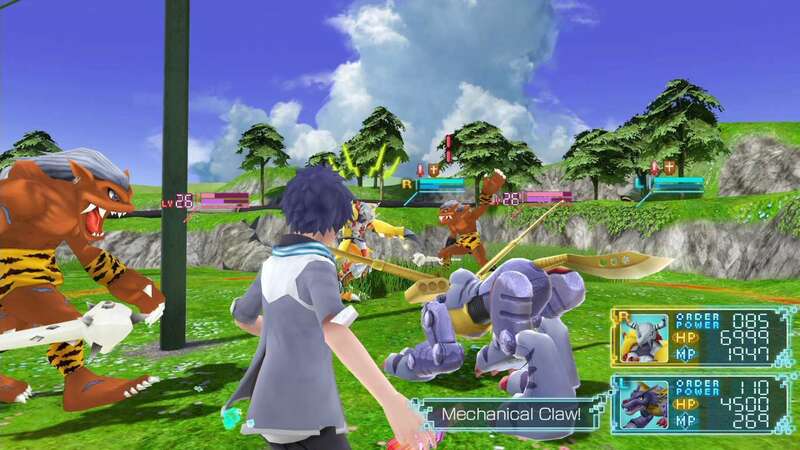 • Evolved AI Battle System: Strong bonds with your partners is key – train your Digimon to excel in AI battles on their own. Cooperation & synchronization between your partners and their feelings will increase your chances of winning. Shout commands and cheer them to victory! • Recruit and integrate new Digimon into the village to expand & evolve it.